When a premature baby is put in an incubator it is traumatic for both the ­parents and child. Mum and dad feel they cannot get close enough to bond, and the baby misses out on skin-to-skin contact that is ­important in the first few weeks of life. But change is underway. 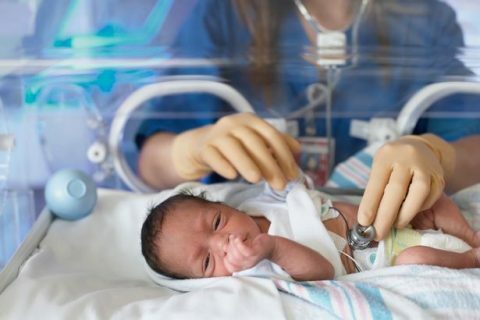 Under a pioneering initiative trialled in London, parents of premature babies are being encouraged to take a lead role in their child’s hospital care. They are taught how to wash and feed their premature baby, and give medication while being guided by medics. During daily ward rounds they also take responsibility for updating the consultant on the child’s progress. The pioneering project at Queen Charlotte’s and Chelsea Hospital and St Mary’s Hospital originated in Canada. It was found to improve the child’s brain function and weight gain, and allows them to go home earlier. Parents get involved once their baby is judged “medically stable” and, after training, look after them for six to eight hours a day. The first five families were recruited at Queen Charlotte’s in West London. Jenny and Alex Vaidya’s first child, Jack, was born there recently at 29 weeks and five days. A free iPhone and iPad app provides vital information and encourages parents to record their child’s development. The Integrated Family Delivered Care app has been ­downloaded hundreds of times as other hospitals adopt the scheme, funded by Imperial Health Charity. In the UK about one in 11 babies, about 60,000 a year, are premature, or born before 37 weeks’ gestation. Imperial’s two specialist units treat about 1,000 premature babies a year.